So, you have decided to pursue a Fine Arts degree and you have selected the schools you wish to attend. What next? Applying to a Fine Arts program is really no different than applying to any other program—it just requires a few extra steps. The following article will tell you exactly what you need to do and what you will need when applying to a Fine Arts college in the U.S. After all is said and done, you will realize with a little preparation the process should require no stress on your part. 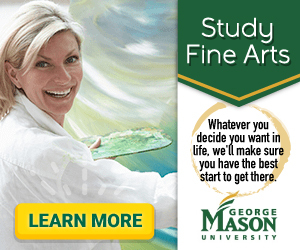 If you are a junior or even a sophomore in high school who is interested in the fine arts, you may be beginning to wonder how to apply to a fine art school. Typically, you want to begin the application process as early as 1–1½ years before the proposed entrance date of your freshman semester. Fine arts schools usually require more applications and deadlines than other entering programs. Art programs may begin by asking you to develop a cover letter. Usually in this letter they are looking for your reasons as to why you wish to enroll in the art program, what you are looking for in an education, and what your financial needs are. Sometimes your cover letter will help strengthen your chance of obtaining financial aid, so international students may find it beneficial to mention their academic integrity and leadership potential. Next, is the list of accomplishments. This is your chance to talk about any awards you have won, exhibitions you have been in, or art competitions you entered. If you aren't limited to a word count, you will want to go into as much detail as possible. The most important aspect of the art program application is the portfolio. This is where you will be able to display a variety of media and techniques you use in your art. Typically you will want to put your strongest work at the beginning of the portfolio. It is important to label each image with your full name, the title of the work, the media used, and the size. It is also helpful if you place an arrow on the piece indicating the proper viewing position. Make sure to follow directions exactly for the portfolio, or else you may not even be considered. Do not send more pieces than required (typically 12–20 pieces) and do not send your actual work as there is no guarantee the school will return it. When submitting your portfolio, be sure to check what the program's preferred method is. Digital image upload is the most popular. With this method you want to make sure your images aren't pixelated and they are in the right format (JPG, PDF, etc.). Other submission methods include plastic slide holders, a CD or DVD, or photographs. The last section of the application process will usually allow you to create a list describing each piece in your own words. Recommendation letters may or may not be required. Fine arts schools usually have a very specific application process for their music program. This is because they are looking for the right students to be mentored by faculty with specific skills. It is important to note that the following application materials must be received by the school you are applying to usually four weeks prior to the requested audition date. If the materials don't arrive on time, you can't audition. First, you must provide a repertoire list. This is where you discuss the music you have studied and the roles you have performed (if you are a voice applicant). Most programs require 2+ letters of recommendation sent in with your application or sent directly from the recommender. Music composition students must additionally submit a portfolio containing 2–3 scores of their original work with the title and their name on a CD. The second part of the application process is the interview and audition. International students will be interviewed by the faculty who are interested in what you wish to study, your knowledge of music, and whether or not you will be a good fit for the program. The audition usually takes place on the same day. In the audition you may be tested and your performance is evaluated based on technical and musical proficiency. Each instrument has different procedures for the audition process. Typically you perform 2–3 memorized works of your choosing that meet certain specifications (time period, style, etc.). You may also be asked to sight read. Theatre programs typically have similar application processes to music programs. In fact students who wish to major in theatre and music may be required by fine arts schools to fill out applications and attend auditions for each department. Typically you audition in person, but in special cases you may send in a DVD or YouTube® video. Auditions usually include one classical and one contemporary monologue. If you sing, you should prepare a short song to show off your vocal range. Letters of recommendation are encouraged and a resume with theatre experience and a professional photo are required. In addition to all of these application requirements, international students are required to submit TOEFL or IELTS exam scores if English is not their native language. Students should also keep in mind that these are just the basic requirements and steps on how to apply to a fine art school. Some programs may require more or less information, while others may not even be open to international applicants. The most important thing to consider when applying to any program is deadlines. If you don't submit all your information by a given date, you are not guaranteed admittance to any university in the U.S.